Last week, I shared a new storybook bible called, Once Upon A Time Storybook Bible, and I had nothing but good things to say about it. As that book becomes available, it also brings with it a new Holy Bible for kids called, Once Upon A Time Holy Bible. The Bible is not a fairy tale, but every great story happened once upon a time. The NIrV Once Upon a Time Holy Bible contains a presentation page and also highlights six great stories from the Bible on 24 full-color inserts. Each story is told on four pages in full-color, illustrated splendor. Also, contains the complete New International Reader’s Version (NIrV) of the Bible. Before I received Once Upon A Time Holy Bible, I read a lot of reviews about the book and to be frank, they weren’t too good. Most of the reviews complained about what the bible lacked and to be honest, I, too, found this bible lacking a lot of stuff that other children bibles offer. For example, this bible doesn’t feature any special introduction pages to go with each chapter, instead, children are just whisked into new chapters, like we are as adults. I also noticed this bible did not include any special footnotes or devotions. While I will mention this bible is not intended to be a study bible, I have come to like the children’s bibles that have a little more to offer their readers. One thing I did like about this bible was that it does have a few added stories inside. But, like everything else in this bible, the stories lack detail and are kind of randomly placed inside. While Once Upon A Time Holy Bible isn’t my first pick for a children’s bible, it isn’t a horrible bible. It is still a very good bible. It uses the New International Readers Version which means it is easy to read and understand. Inside the Bible, there are a lot of features that I do like. 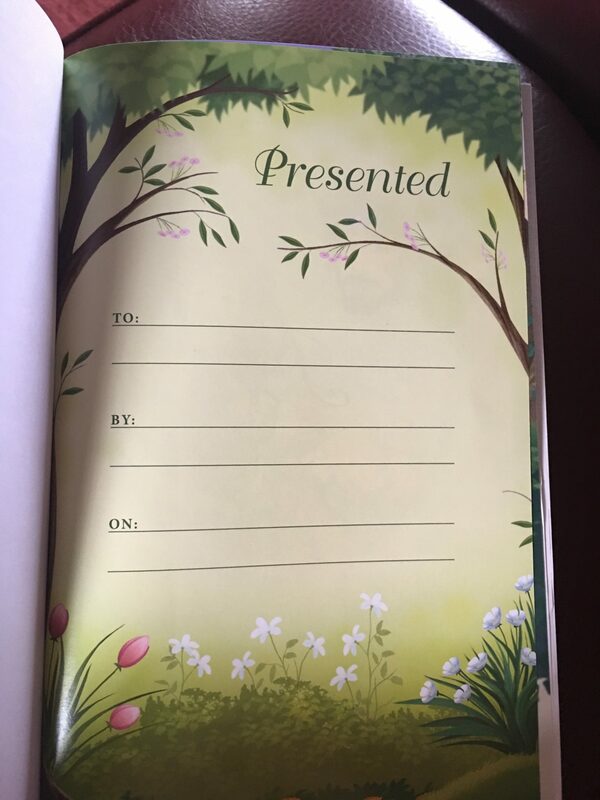 Like the presenter’s page inside the front cover. This page is illustrated by the same illustrator of Once Upon a Time Storybook Bible, Omar Aranda and looks very appealing. This Bible features a content page like most bibles do and even shares a tidbit about the NIrV bibles. 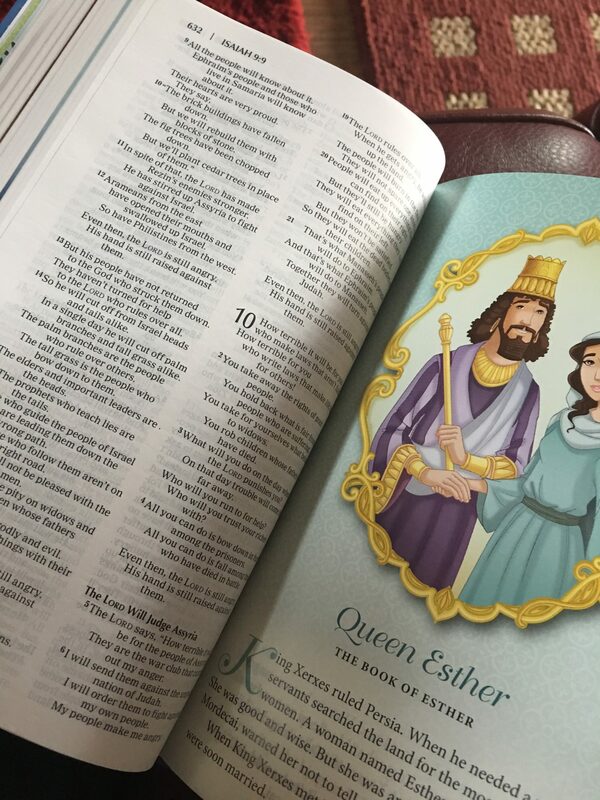 At the end of this book, children are given a small dictionary of words and provided with a list of all the great Bible stories in the bible. 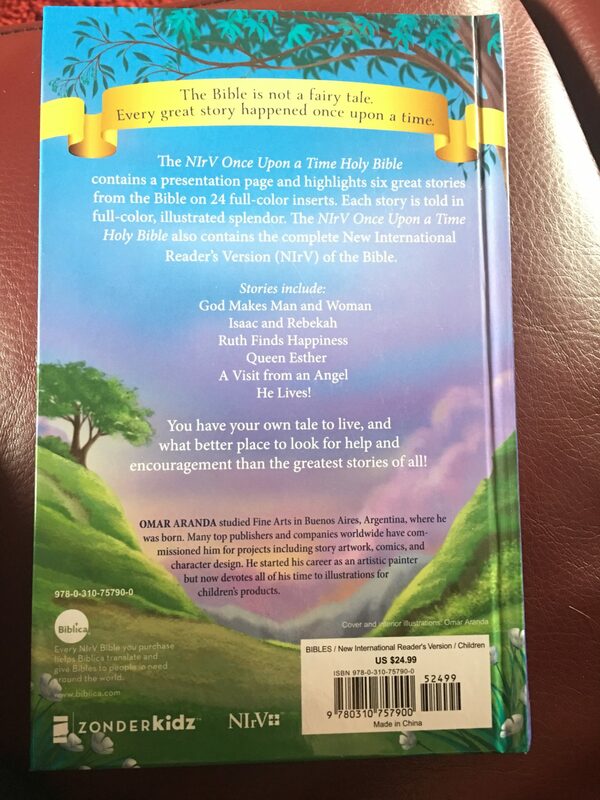 Once Upon a Time Holy Bible is published by Zonderkidz and intended for children ages 8-12 years old. I’ll admit, this bible could use a little more detail, this book is still a good book for children to study God’s word. Once Upon a Time Holy Bible is now available at your local bookstore and online at Zondervan. 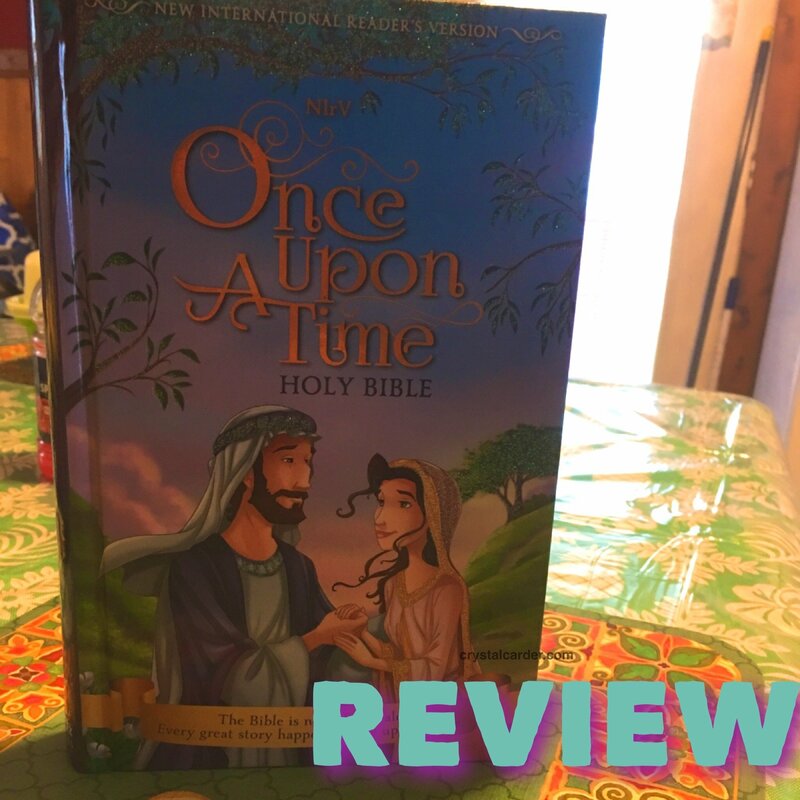 Be sure to also check out Once Upon a Time Storybook Bible which is my children’s newest favorite storybook.